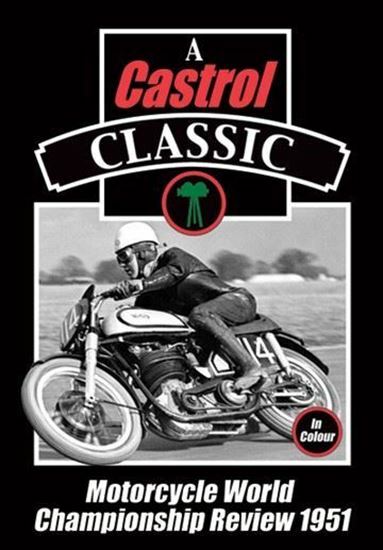 A rare colour film from acclaimed producer Sam Coles of the eight ’international classics’ that comprised the 1951 World Motorcycle Road Racing Championships. Featuring the Spanish, Swiss, Belgian, French, Ulster and Nations GPs, plus the Dutch and IOM TT. Geoff Duke and his single-cylinder Norton challenge the multi-cylinder Gilera, Moto Guzzi and MV Agusta teams in some thrilling dices.